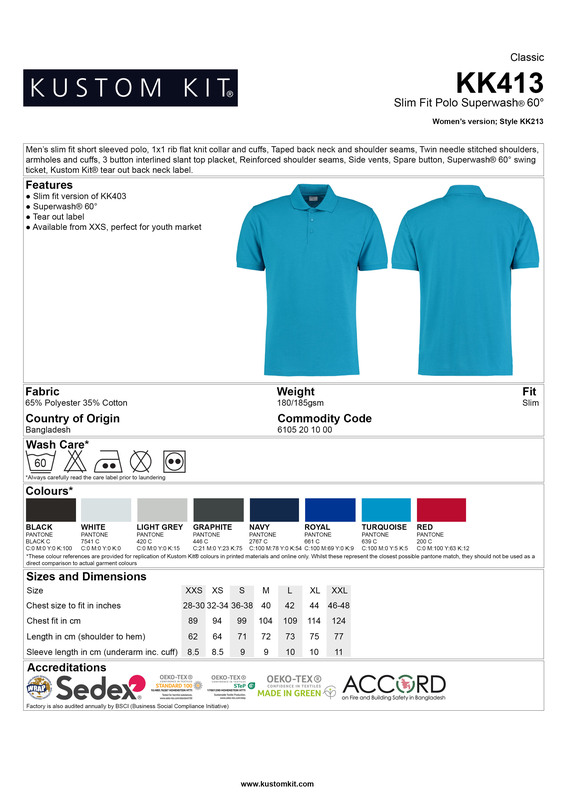 Kustom Kit Klassic Slim Fit Polo Short Sleeved Super wash A slim fitted polo shirt that is very popular among our male customers, young and old. It is made from 65% polyester and 35% cotton and it can be washed at 60 degrees making it perfect to wear when competing in sports. It features a 3 button placket and reinforced shoulder seams. There are 8 easy to wear colours to choose from. 28/30", 32/34", 36/38", 40", 42", 44", 46/48"